petition: Tell Trump That Climate Change Is the Real National Emergency! Tell Trump That Climate Change Is the Real National Emergency! Throughout Donald Trump's most recent temper tantrum, otherwise known as the longest government shutdown in U.S. history, he has threatened the possibility of declaring illegal immigration a national emergency so that he can fund a wall without congressional approval. Even as he announced that the government would reopen, he threatened the possibility once again. His hope is that the open-ended language of the National Emergencies Act will allow him to act unilaterally on a non-existent border crisis, when border crossings are at their lowest level. But there is at least one real national emergency happening right now which both Trump and the GOP have actively avoided dealing with: climate change. 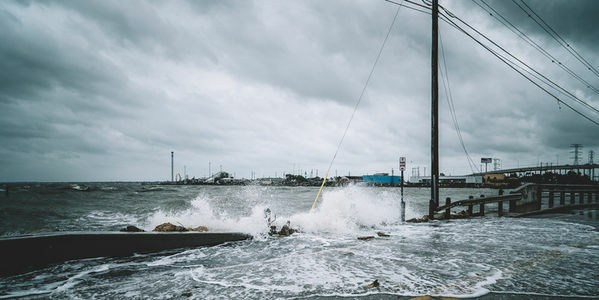 Devastating human-caused hurricanes have ravaged Puerto Rico, Texas, Florida, and other coastal regions over the last several years. Wildfires in California are completely out of control now on an annual basis, from the summer until late autumn. Less urgent but no less dangerous, the effects of the changed climate on ecological stability as well as food security could soon reach crisis levels. We need to send this president, the Republican party, and all climate security obstructionists a clear message: immediate and significant efforts are needed. And any of our leaders who are not prepared to answer this call to action, legislatively or through the executive, will be called to account for this failure. Tell Trump and the GOP it's time to "step up or step aside."